COLUMBIANA – Donzel “Don” R. Gregory, 78, passed away on Friday January 11, in Orlando, Fl. Mr. Gregory was born on July 26, 1940, in Webster Springs, WV, a son of John and Goldie (Saunders) Gregory. Don was a 1958 graduate of Greene High School and furthered his education at the Allied Institute of Technology in Chicago, Kent State University and Youngstown State University, and Salem Trade School. He married the former Kaye Brooke on March 17, 1962, and together they would share 56 years of marriage and raise three children in North Lima. Don was employed as a regional sales manager at Renold, Inc., and previously worked at Wean Engineering and L.W. Nash in East Liverpool. Mr. Gregory was a 56 year member of Mt. Olivet United Church of Christ in North Lima. He enjoyed spending time with family and friends, playing the guitar and singing, going to the casino, sports, playing cards, golf and traveling. 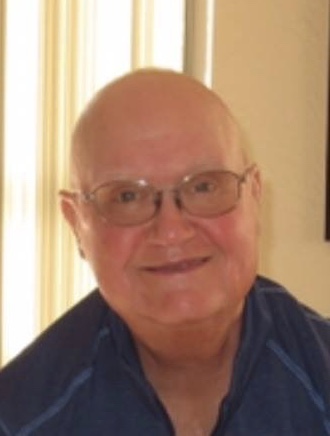 Don was a life-long fan of the Cleveland Indians, Browns, and Cavs and attended South Range sporting events. He never met a stranger! Don was a member of Allen Masonic Lodge #276, Youngstown Shrine Club, a Deacon at his church and coached Little League of Beaver Baseball. He leaves to cherish his precious memory his wife Kaye; three children, Mark Gregory, Chris Gregory and Kim Gregory (Jeff) Goodson; grandchildren Hannah Gregory, Sophie Gregory, Andrea Goodson and Kyle Ellis; and his sisters Betty Baker, Marilyn (Ernie) Galgozy, Cheryl (Michael) Bugnone, Regna Harrison, Deanna Gregory, and Carole Caynor and many nieces and nephews. Mr. Gregory was preceded in death by his parents, brother Gary Gregory, sisters Loretta and Brenda Gregory and a grandson Michael Goodson. Funeral services will be held on Saturday, January 26 at 11:00 a.m. at Mt. Olivet UCC in North Lima. The family will receive friends on Friday, January 25 from 4:00 – 7:00 p.m. at Seederly-Mong and Beck Funeral Home, 11500 Market Street, North Lima, and again one hour prior to the service from 10:00-11:00am on Saturday at Mt. Olivet UCC. In lieu of flowers the Gregory family requests that material contributions be made to Hospice of the Valley or to Mt. Olivet Church in Donzel’s name.